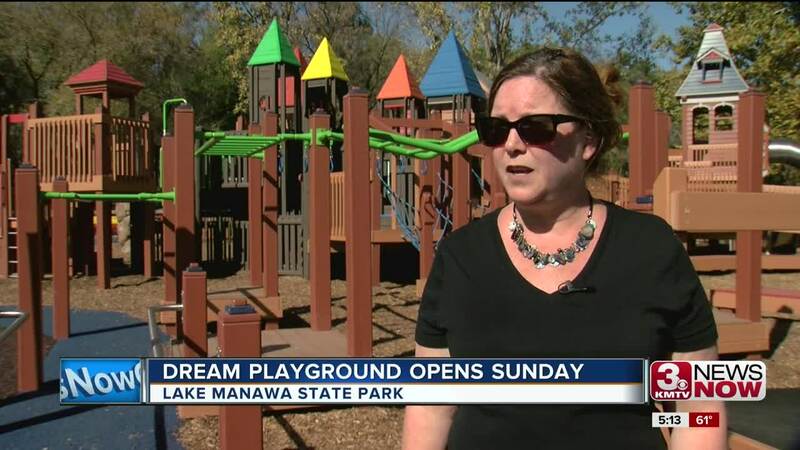 Council Bluffs will soon be unveiling a Dream Playground at Lake Manawa that's designed for children of all abilities. The Dream Playground Re-Imagined Committee will celebrate the site's grand opening on Sunday at 2:30 p.m. The 18,000 square foot Playground is now the largest ADA accessible Playground in the state of Iowa and gives children of all abilities the opportunity to play in a safe and accessible area. The Playground is made possible by volunteers and donations and is a more than 1.3 million dollar investment. It's located at the beach and Shelter No. 6 and in Lake Manawa State Park at 93 Dreamland Road.